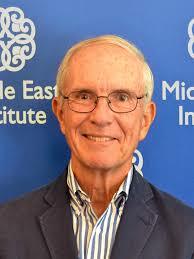 Thomas W. Lippman is an award-winning author and journalist who has written about Middle Eastern affairs and American foreign policy for more than three decades, specializing in Saudi Arabian affairs, U.S.- Saudi relations, and relations between the West and Islam. He is a former Middle East bureau chief of the Washington Post, and also served as that newspaper's oil and energy reporter. Throughout the 1990s, he covered foreign policy and national security for the Post, traveling frequently to Saudi Arabia and other countries in the Middle East. In 2003 he was the principal writer on the war in Iraq for Washingtonpost.com. Prior to his work in the Middle East, he covered the Vietnam war as the Washington Post's bureau chief in Saigon.